GIFs are a great way to express emotion. They’re usually short scenes from popular TV shows and movies, turned into short video snippets that express how we feel. Feeling sad? There’s a GIF for that. Had an amazing day at work? GIFs have got you covered! GIFs are an integral part of communicating on social media. Twitter and Reddit users have been using them effectively for years. Even Facebook made them an official part of the platform. 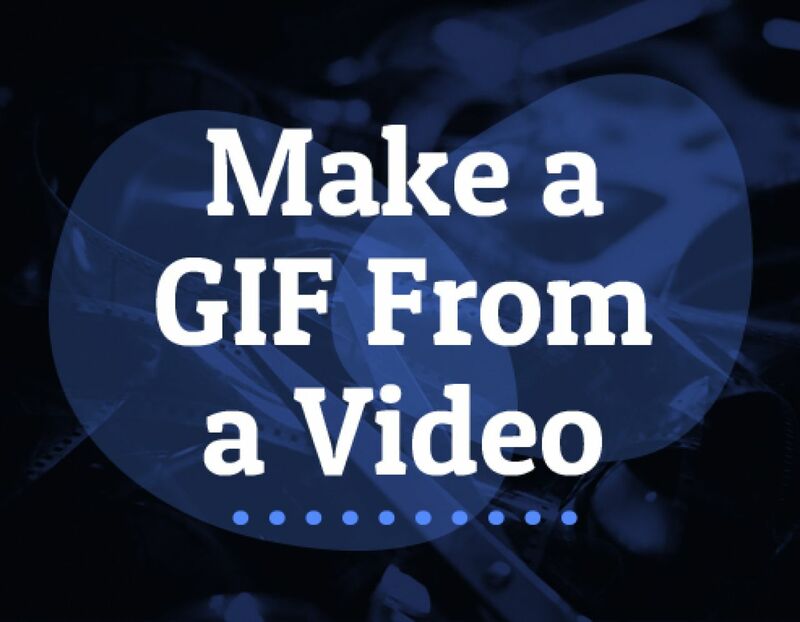 In this post, we’re going to show you how to make a GIF from a video, but before we start, we want to underscore that you need a great video to make a great GIF. 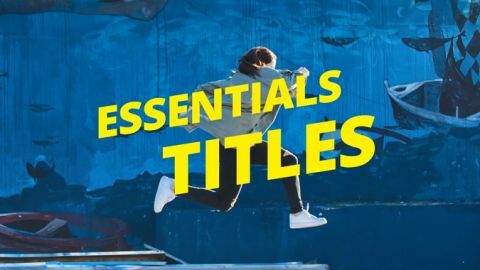 At Biteable, we have thousands of pieces of animated and live-action content for you to choose from. Start with a template, like one of these, then customize it in minutes. After that, get GIFing. Why use a GIF instead of a video? GIFs are short, they rarely last over 5 seconds, and they usually have small file sizes too, so they don’t prevent web pages from loading quickly. And they’re usually charged with emotion — scenes that become GIFs generally express emotions in a big, recognizable way. There’s no mistaking this scene for anything other than excitement. GIFs tap into the shared stories we consume. Sharing a scene from a specific show or movie brings up emotions tied to that movie and add power to your point. And, for those of us who watch way too much TV, they instantly connect us to other pop culture fanatics. 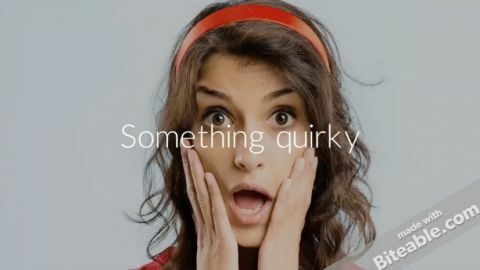 If you want to make an instant emotional connection with your audience, why not post a GIF? While there are a lot of ready-made GIFs available on platforms like Giphy, making your own is pretty painless. Let’s take a look at some different options, each with different levels of sophistication. 1. Select “Create” in the top right hand corner. 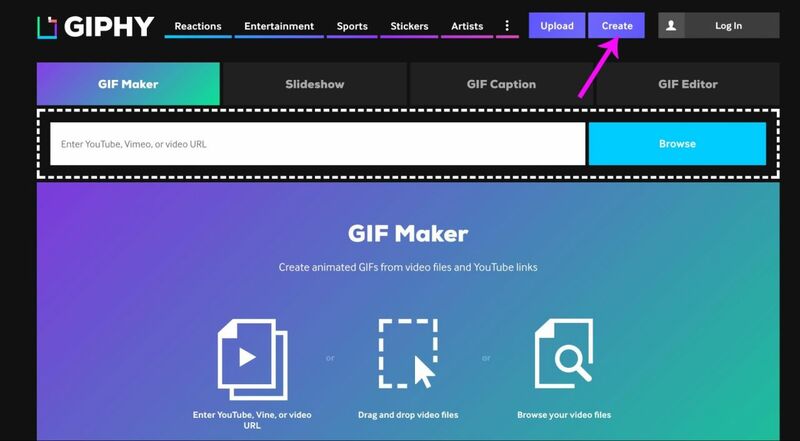 You can make a GIF using the video URL from a video hosting platform like YouTube or Vimeo, or by uploading your own video file. Making a GIF with Giphy is incredibly simple and quick. You don’t even need to make an account. Find a video on YouTube or upload one directly to Giphy, set the start time and duration, and you’re good to go! Let’s go through the steps of creating a GIF through a YouTube video. 3. 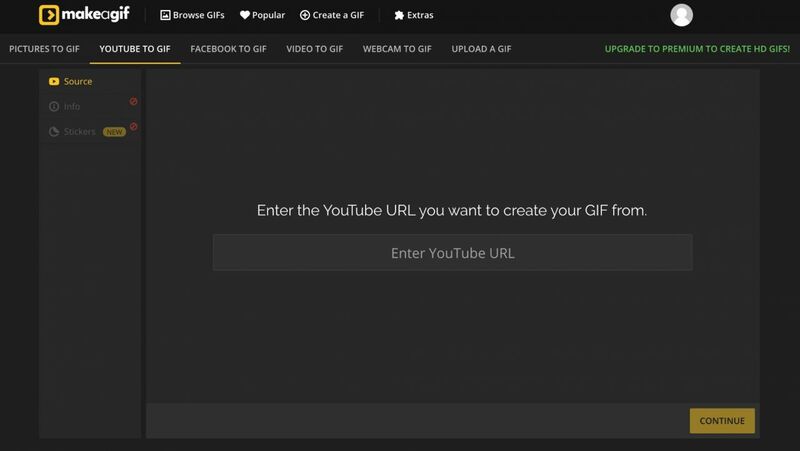 From there, you’ll be taken to the GIF creation page. 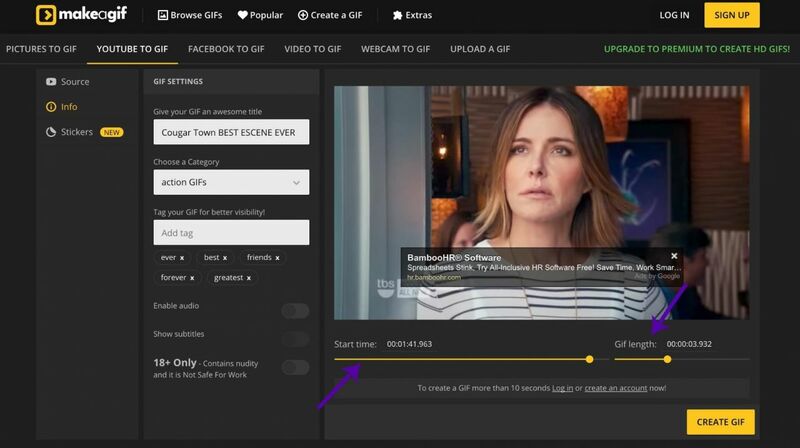 Select the start time for your GIF by dragging the cursor to the right time. Then, chose the length by dragging the “GIF Length” cursor. 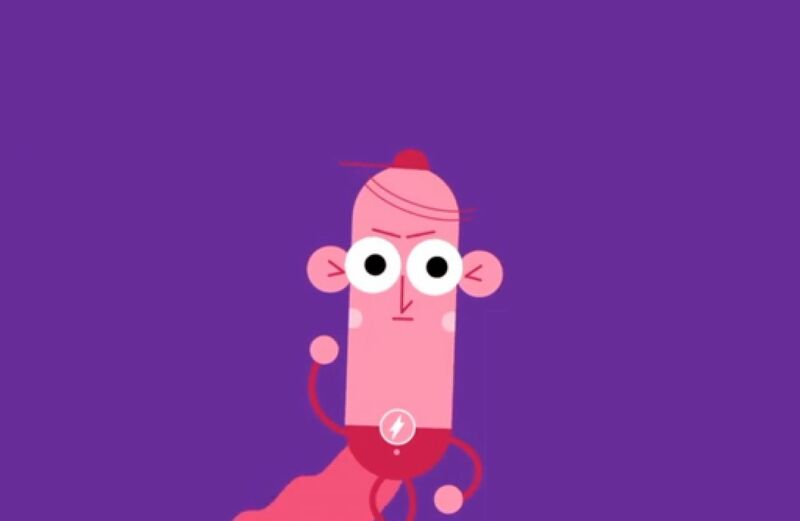 Your GIF can be up to 10 seconds long. You can add tags, choose a category, and add stickers. You can also choose to enable audio. 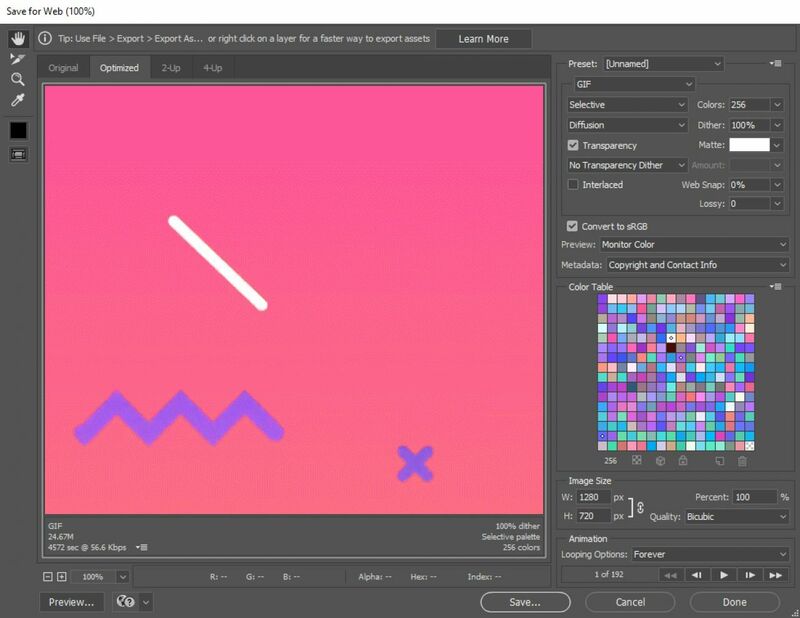 If you upgrade to the premium version, you can make HD GIFs and delete the watermark, but the free version is fun, easy to use, and good enough to help you get started. This is the GIF I ended up with after less than 5 minutes. And, in my defense, most of that time was spent figuring out what clip to use. 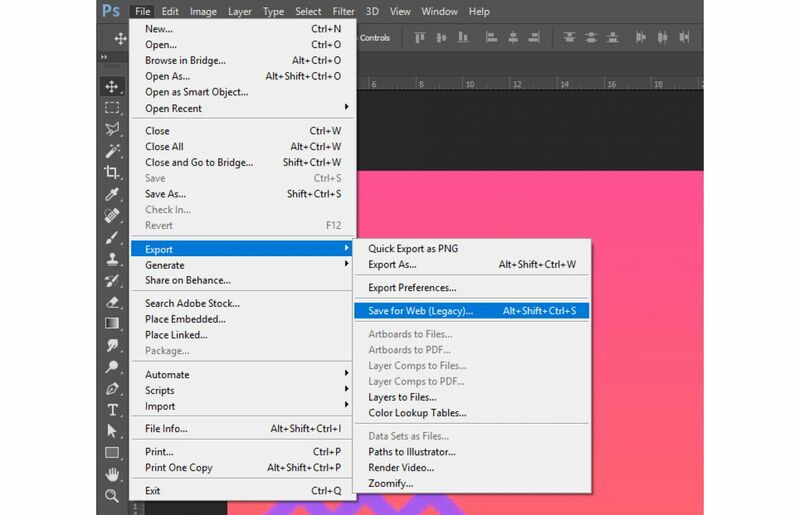 To get the greatest control over your GIF creation, Photoshop is the clear winner. If you’re using Photoshop, we’re going to assume you’re pretty tech-savvy, and will just give you the basic version of how it’s done. 1. 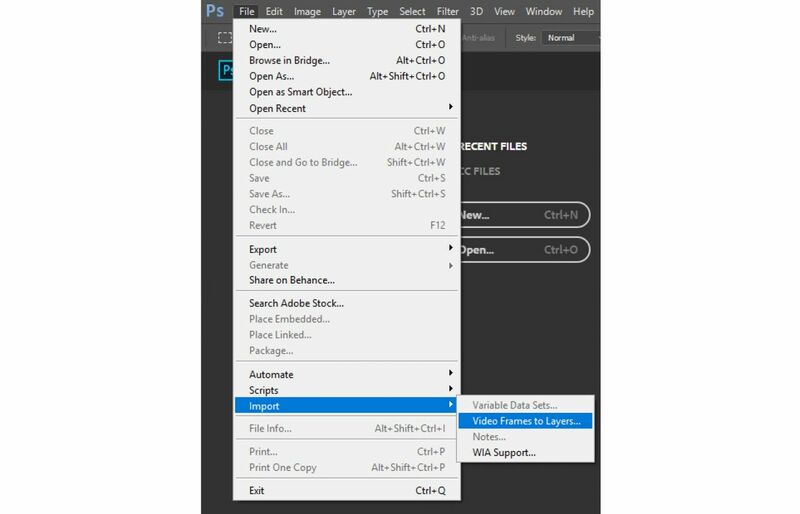 Open Photoshop (we’re using Photoshop CC 2017). 2. Go to File → Import → Video Frames to Layers. 5. So many options! You can limit the file size here by playing with the number of colors, or the Image Size options, but if you’re lazy and don’t mind how big your GIF is, just hit save, and you’re done. Easy. See, making a GIF is easy. Making a great video (to turn into a GIF) is now easy too, thanks to Biteable. 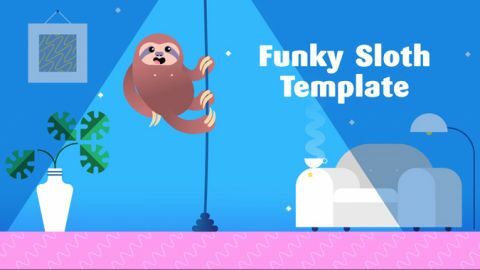 Find the perfect starting point in our huge template library. What are you waiting for? Go make a GIF.